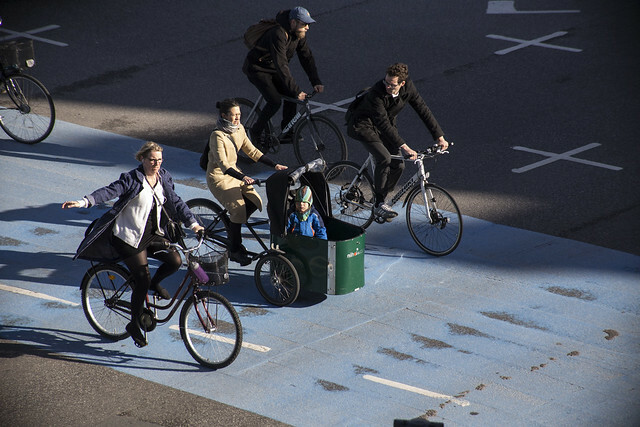 Even with 40,000 cargo bikes in Copenhagen, most cargo bike action involving kids takes place in the neighbourhoods, where families live close to the schools. 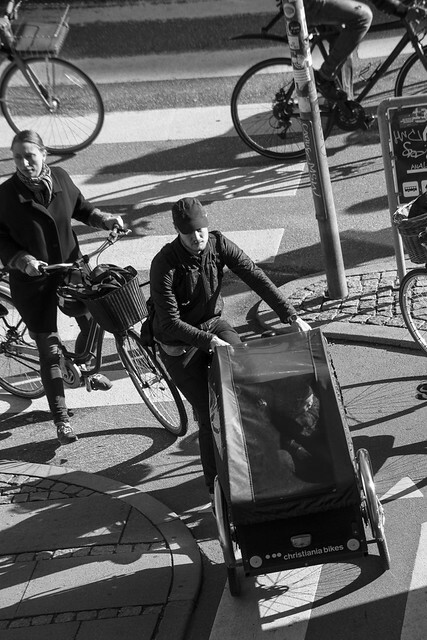 26% of all Copenhagen families with two or more kids have a cargo bike. 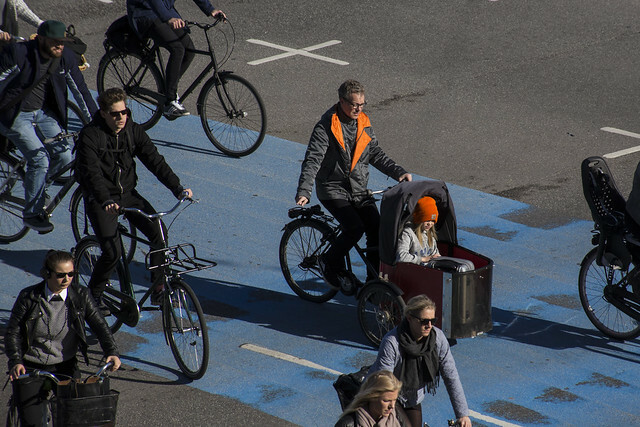 It's the Copenhagen version of the SUV. 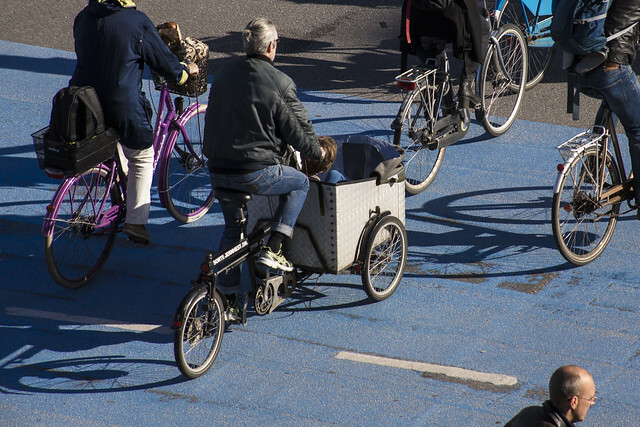 There are cargo bikes with kids in the morning rush hour however. Here are a few of them. Just a kid reading a book on their way to school. 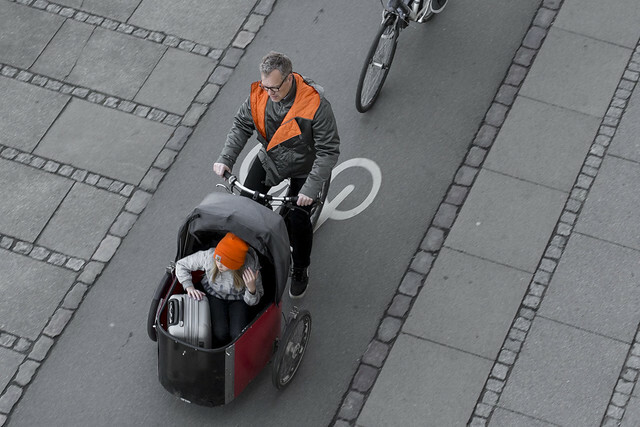 Very nice idea to belong your little kids with you. 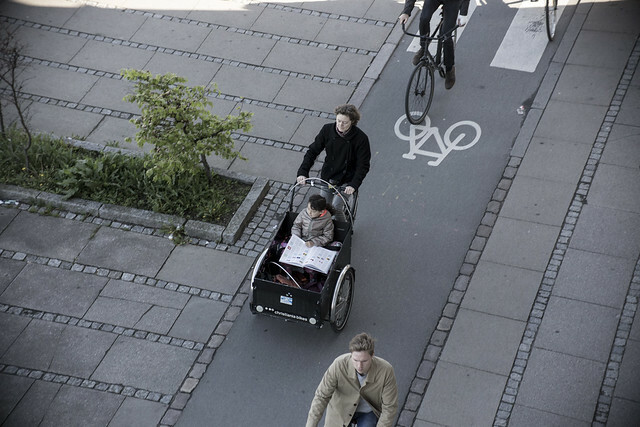 Cargo bikes are comfortable for kids and you can get along with your cycle also. So here nice pics taken and great work. It's a far distance dream in big cities of India. 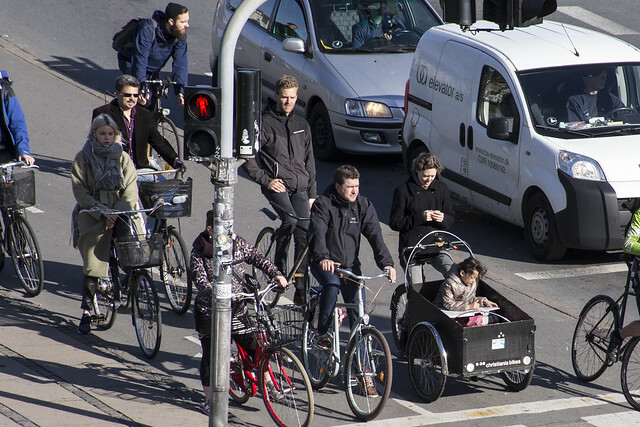 The road infrastructure is so more focused on cars.